1-year old girl found electrocuted in car on Negev highway. Attempts at resuscitation fail. A 1-year-old baby girl was electrocuted to death Wednesday in the Negev. The baby was brought in a private vehicle for treatment on Route 31 near the Arad junction. A team of paramedics from Magen David Adom attempted to carry out resuscitation efforts, but the child succumbed to her injuries. 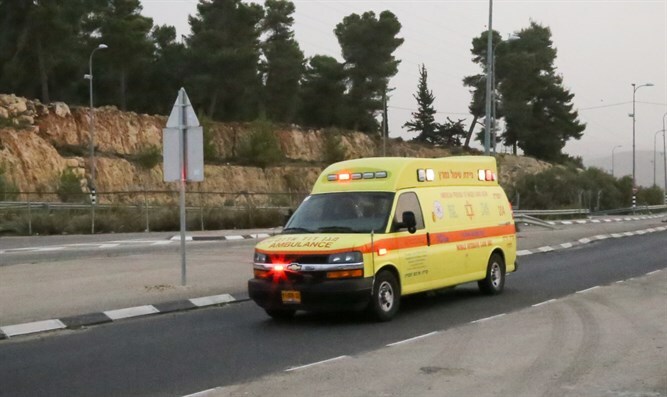 MDA Paramedic Mu'ad al-Amur, who was one of the first-responders who treated the child, said: "When we reached the junction, [we found] a private vehicle in which a toddler of about one year of age was found unconscious and not breathing. She had signs of electrocution. We gave her medical treatment and carried out advanced and prolonged resuscitation operations, but her injury was very serious and, together with a doctor who came to the location [to help us], we were forced to declare her death at the scene." According to the Beterm children's health organization, 13 children and teenagers have been electrocuted to death in Israel since 2008. The baby who perished Wednesday was the first child to die from electrocution this year.